Phyllis Loves Classic Movies is hosting John Garfield: The Original Rebel blogathon running from March 3 - 5. HERE is where you'll find all the tributes to the actor. "You know how it is early in the morning on the water? Everything is quiet except for the sea gulls a long way off and you feel great. Then you come ashore and it starts, and in no time at all you're up to your ears in trouble. And you don't know where it began." 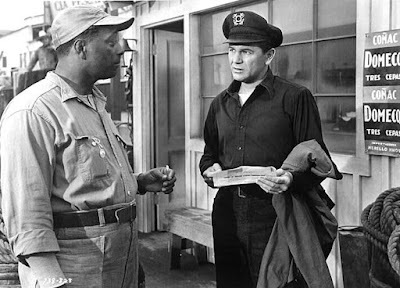 John Garfield as charter boat Captain Harry Morgan lays it all out for us in the opening of 1950s The Breaking Point. Michael Curtiz directed this second of three, thus far, film adaptions of Ernest Hemingway's 1937 novel To Have and Have Not. The screenplay is by Ranald MacDougall (The Hasty Heart, Mildred Pierce) and the cinematography by the legendary Ted McCord (The Treasure of the Sierra Madre, Young Man with a Horn). 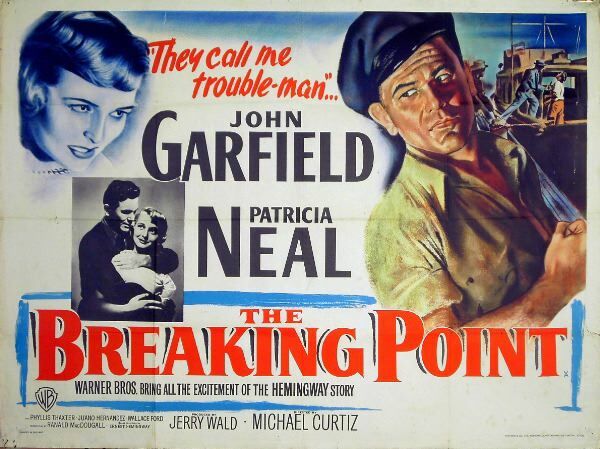 The Breaking Point is an exemplary film-noir in every respect. Location filming in California takes us into Harry's world. Harry's world, despite his ocean workplace, is small and closing in on him. It is a cramped rented bungalow he shares with his wife and two young daughters. Phyllis Thaxter (Act of Violence, The World of Henry Orient) is superb as the supportive Lucy, making do with next to nothing while Harry scrounges for work. He has a choice in this matter as Lucy's lettuce producer father is willing to take Harry into his business. For Harry, this is no choice. Harry also has support in his friend and partner Wesley played by Juano Hernandez (Trial, Ransom). All this support also acts as pressure in that Harry feels obliged to make things work out. Things are looking up when Harry gets a fare to Mexico who brings along his gal pal Leona played by Patricia Neal (A Face in the Crowd, The Homecoming). The rich fare fishes while Leona flirts with Harry. Once in Mexico moneybags ducks out, stiffing Harry and leaving Leona stranded. It is at this point that Harry is vulnerable to an offer from shady lawyer F.R. Duncan played by Wallace Ford (The Informer, The Beast of the City) who likes Harry and has a way to put money in his pocket. Harry, being an honest man with an honest boat, is a necessary component to a smuggler. Victor Sen Yung (The Letter, TVs Bonanza) is Mr. Sing, an importer/exporter in human misery. The pay is $1,600 for Harry if he takes 8 Chinese into the States. Actually, Mr. Sing doesn't care if the cargo gets to their destination. He'll leave that up to Harry. Harry, not wanting to involve Wes gives him money to take a bus back to Newport. He also gives Leona bus fare. Wes, for reasons of friendship and Leona, for reasons of her own, sneak back on board the boat and become deeply involved. Mr. Sing, as is the way with business people and Harry, fails to pay the agreed upon fee. In a struggle Sing is killed and Harry leaves the cargo in Mexico. One of the Chinese gives the name of the Sea Queen to authorities and the boat is confiscated upon return to California. Harry Morgan is under suspicion and out of commission. Lucy takes a job sewing at home to make ends meet. Harry takes to drink. Murder, even in self defense is murder, and Harry's life has taken its darkest turn. Leona wonders why Harry always has to do everything the hard way. Duncan's advice is to take things easy, just let them happen. Leona is hanging around town, hooking up with various moneyed friends. She also insinuates her way into Harry's life. There is a lovely, understated showdown between Leona and Lucy while a slightly inebriated Harry remains clueless. Perhaps he gets a clue when Lucy dyes her dark hair blonde like Leona. "Once everything went just the way I wanted it. I couldn't make a mistake. I was like that. I was eight feet tall all the time. Not any more." Harry is ready to accept that job with his father-in-law when lawyer Duncan comes to him with another deal. Harry will get his boat back and a lot of money providing a getaway for mobsters planning a racetrack robbery. The set-up will look like he was hijacked. Harry takes a gun aboard as he plans a double-cross which will get him the expected reward. It is necessary to keep Wes away from the Sea Queen on that day. Wes, for reasons of friendship, is unfortunately on board when the mobsters arrive, setting up the bleakest and most heartbreaking final shot in film-noir. On the fateful trip, Harry gains everything, but loses much. 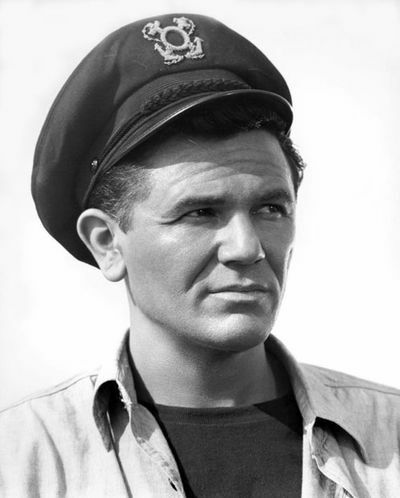 John Garfield's film debut in 1938s Four Daughters netted him a supporting Oscar nod and he would be nominated in the leading category for 1947s Body and Soul. In his many roles Garfield's intensity was a hallmark making him an intriguing and watchable actor to this day. The Breaking Point finds him at the height of his abilities with the promise of much more to come. Sadly, there would be only one more film from Garfield. He would die at age 39 of a heart attack a few months after producing and starring in 1951s He Ran All the Way. Garfield is my favorite actor bar none so I'm very excited for this blogathon and though I love all his films....well maybe not Juarez!..this is my absolute favorite of them all. It's superior in every way to the Bogart/Bacall To Have and Have Not, which I find rather a slog outside their undeniable chemistry. The picture's very non-exotic flavor is what helps make it so compelling and adds to its universality. What happens to Harry could happen to anyone. Of course the impact is helped immeasurably by director Curtiz's sure hand and the impeccable cast. Garfield was always an arresting onscreen presence but I think this, followed closely by his previous film Under My Skin, contains his best work. 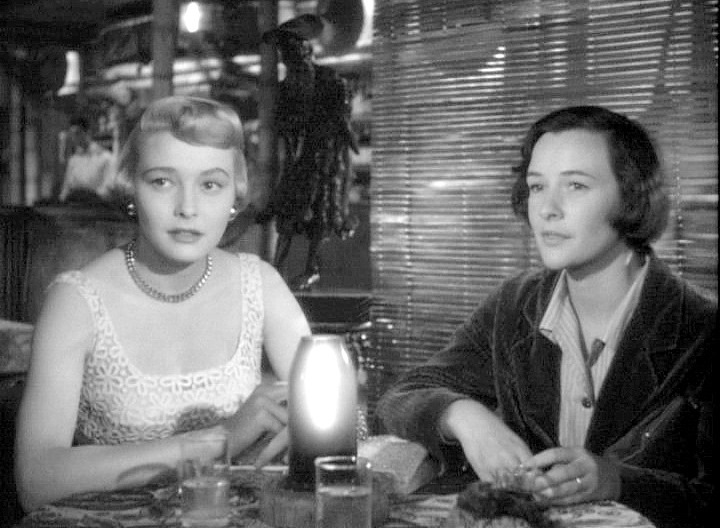 The same goes for Patricia Neal in terms of her first swing through Hollywood, she gives a world weariness to Leona without making her brittle. Glad you mentioned the scene between Phyllis Thaxter (also outstanding) and she, it has the kind of subtle underplaying and interaction you don't find in film every day. 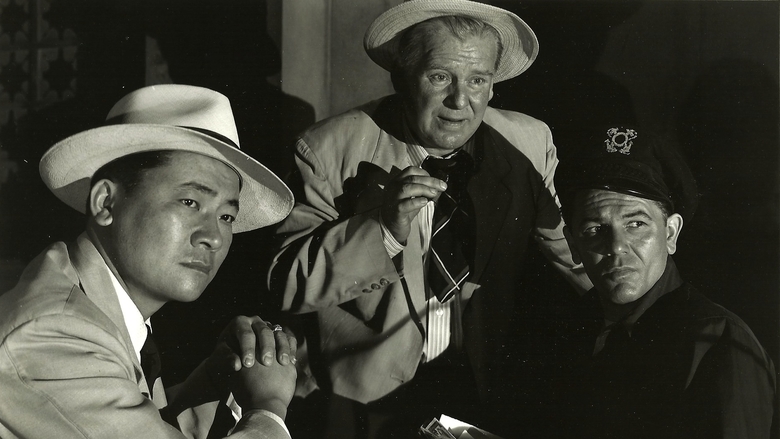 It's all so well done you really feel for the characters, even the shady ones like Wallace Ford's Duncan. A pity that it has been eclipsed by To Have & Have Not and therefore isn't widely known. I have never been able to get into To Have and Have Not. Fans of that film find that difficult to believe, but if they saw The Breaking Point I know more would swing over to our point of view. Thank you for responding to this review with your eloquence that clearly displays how much you love the film. I caught the last half of this once and yes, that ending was heartbreaking. I am a big fan of To Have... so I look forward to getting to see this film in its entirety soon, although the parts I saw didn't really resemble To Have.. to me. I have read that Hemingway preferred this version of his story. I think too much was added to the earlier film to capitalize on the obvious Bogie and Baby chemistry. Who knows? Maybe I'll learn to love it one of these days. If we have anything to say about it, John Garfield will never be forgotten. Thanks so much for hosting this blogathon. Wow, I'm intrigued--seems like a compelling story. I'll be looking for this one. Enjoyed your post, too! Thanks a lot. I know this film will not disappoint you. I hope you get to see it soon. It's been such a long time since I had seen "To Have and Have Not" that I had forgotten the plot, but after reading your review I'd rather pass re-watching that film and see Breaking Point instead. Sounds like a real gem! John Garfield was such a good actor, but poor guy, he always was cast in roles that put him into trouble-some situations. Yes, indeed. The Breaking Point is a gem and I know that it will impress you. Ah, but Garfield played these guys whom the Fates liked to have fun with so well. Thanks for picking a lesser-know Garfield movie to review. Despite the Hemingway connection, it's not as well known as it should be. I also prefer it to TO HAVE AND HAVE NOT. There must be more of us out there than we realize, despite the title not being one on everyone's lips. A primetime showing by TCM might go a long way to changing its anonymity. Thank you for reminding me why I love this film so much. It really sticks with you, especially that haunting ending. But I like how complex and human all the characters are, how understandable their motives. Neal is fantastic in it too. I'd heard that Garfield insisted on giving Hernandez a bigger part in it than was originally planned. If that's true, it was the right decision! It seems odd to me that anyone would have to fight for a larger role for Hernandez. From a judge in Trial to an former slave in Stars in My Crown that man could play any character and make your heart soar. Nonetheless, if that's what Garfield had to do, then he did the right thing. Beyond his acting, I think I like that guy. This I've got to see. While I enjoy the flawed "To Have and Have Not", this version sounds much more intriguing. I'm going to make a point of seeing this one...and I have a feeling I'll prefer it to the Bogart/Bacall flick. I have feeling you will become one of this film's biggest boosters. Can't wait to hear your impression. I'm a sucker for several adaptations of the same story, and I still didn't know that therewas this adaptation of To Have and Have Not. I can't wait to see it! I will want to hear your opinion on this movie once you've seen it. Great write up. Sadly, I've never seen it. I know its based on Hemingway's "To have and have not" and is more faithful to the story then the Bogart movie of the same name. You have an assignment to try and see this before the end of the year. I am rash enough, or confident enough in the movie, to know you will be impressed. Just saw movie on the internet and was very impressed. Much closer to Hemingway novel. Garfield very good - he died too young. Wanted more Patrica Neal, but then I always do. Thanks for the heads up Caftan Woman. Excellent. I love that in many cases we just think of a movie and we can find it. Patricia Neal had a fine role and the ability to do it justice and more.